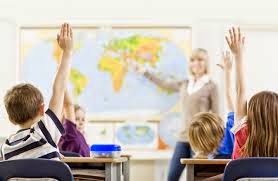 Be consistent – if you don’t want children to constantly shout out answers then don’t accept answers from children who shout out. (Yes of course this is easier said than done) But when you sometimes allow answers from children that shout out then you are sending mixed messages and children will chance it. These are from Teachers Pet. 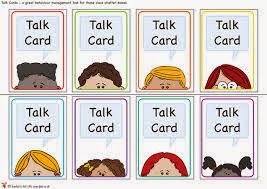 Talk cards – if you have 1/2 children who are constantly shouting out or coming to you with questions and problems then give them 3 talk cards. 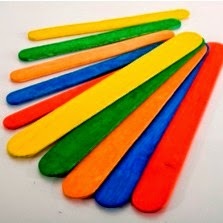 The child keeps these on his/her desk and has to choose when to use them.